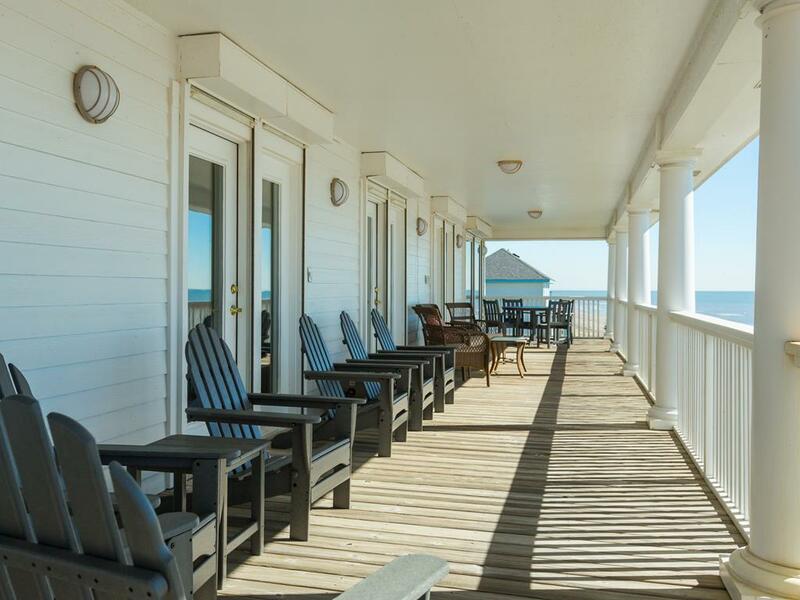 2 king-sized suites, 2 covered decks, beachfront, Gulf views & deck access from every bedroom! 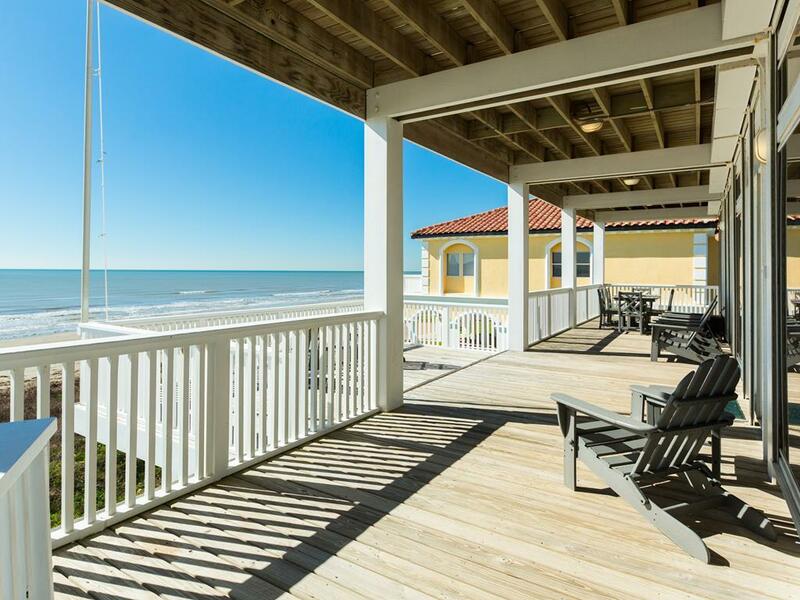 It's always "Sunnyside Up" at this spectacular beachfront vacation rental with its soothing color palette, cool tile floors, and huge kitchen. Perfect for couples or families, every bedroom has stunning views of the beach. 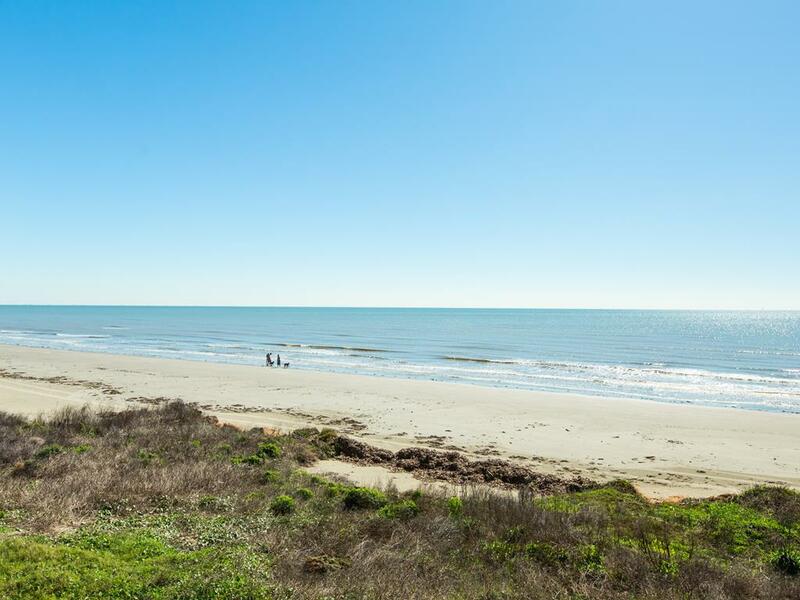 Enjoy days full of building sandcastles, hunting for seashells, watching for dolphins and swimming in the Gulf! Wonderful location with many amenities in the house, including an incredibly furnished kitchen. Sunny side Up was a great hous for our family. With 2 refrigerators, 2 ovens and 2 dishwashers we were able to take care of all our cooking and clean-up issues very efficiently! Beach access and huge decks were definitely a bonus! A great house enjoyed be each family member. The best ever from Sand N Sea after 40 years. Love this house! Great for a big family with children. We chose this rental as it worked together with another house we rented. We have used Sand and Sea for at least 10 years. Their staff is great. You can always be assured their rentals are immaculately clean . They always check back with you the next day to see if everything is going to our expectations. Great staff and vacation rentals. We loved this house. Had everything we needed. Beautiful view. So close to go back into town. Very quiet . We will definitely stay again. 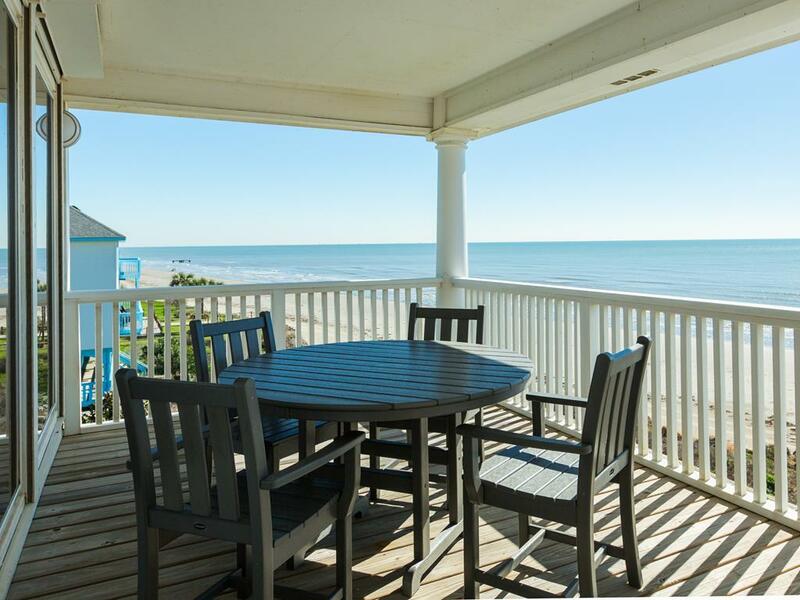 We have stayed at this wonderful beachfront home several times! This home offers great amenities. Kitchen is well supplied with every thing you need. Beds are very comfortable. Wonderful decks with great deck furniture! The view is awesome! We would stay here again! We have stayed here several times. We love it so much. 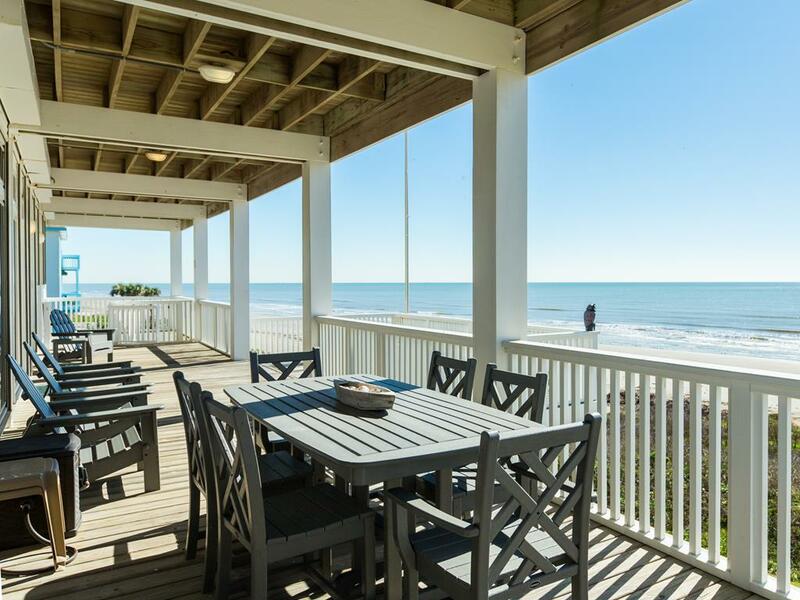 We love the private beach & all the amenities this house has to offer. We will return. The house is great, but you’ll spend all your time on the decks. Inside is so spacious. There is plenty of room for everyone to sleep. But the views and the location take the cake! The beach is so close my wife could plug the baby monitor in and go down to the beach with our other son. We will be back! There are only a few places in Galveston where cars are not allowed on the beach and this is one of them. Because there are no cars allowed- no one is there. It makes it feel like you are on your own private beach. The house is so big and so nice. Everyday my 3 year old asks to go back. We will definitely be back!! A couple of the mattresses need replacing. The house is roomy and has lots of amenities. It worked well for our family. We loved this house and would definitely rent it again. So comfortable and spacious. 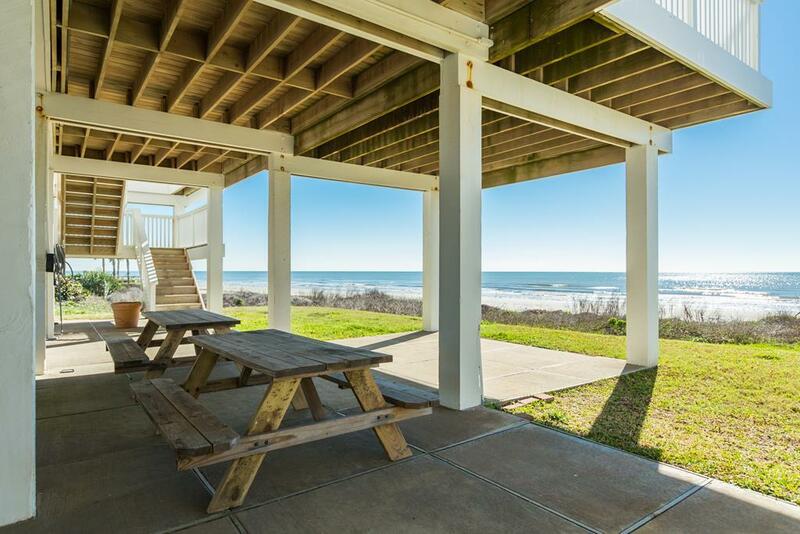 Great location, quick walk to beach, loved the decks, close to town and nice private beach. Such a lovely home in an ideal location. Fabulous open floor plan with attractive furnishings and comfortable beds. Kitchen is fully stocked with every pan, serving platter, kitchen utensil and dishware you need. 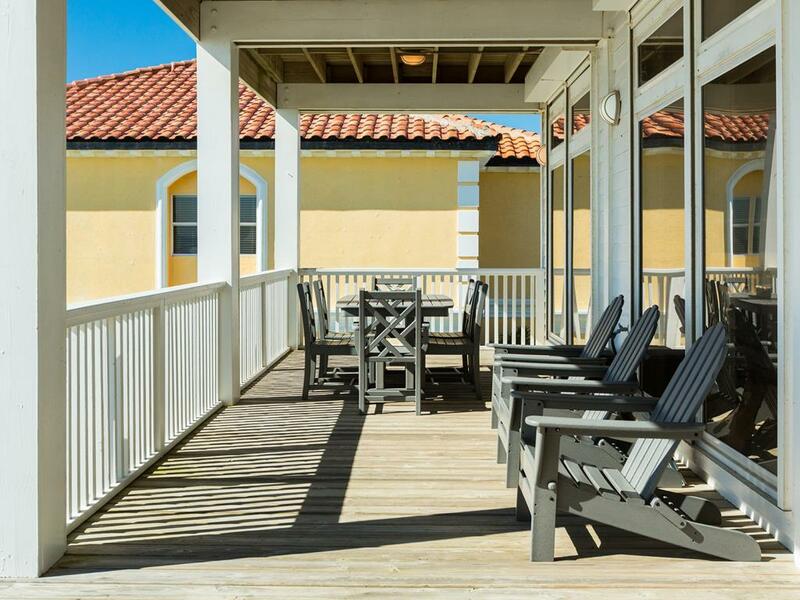 Spacious decks with plenty of seating to watch the beautiful sunrises/sunsets. 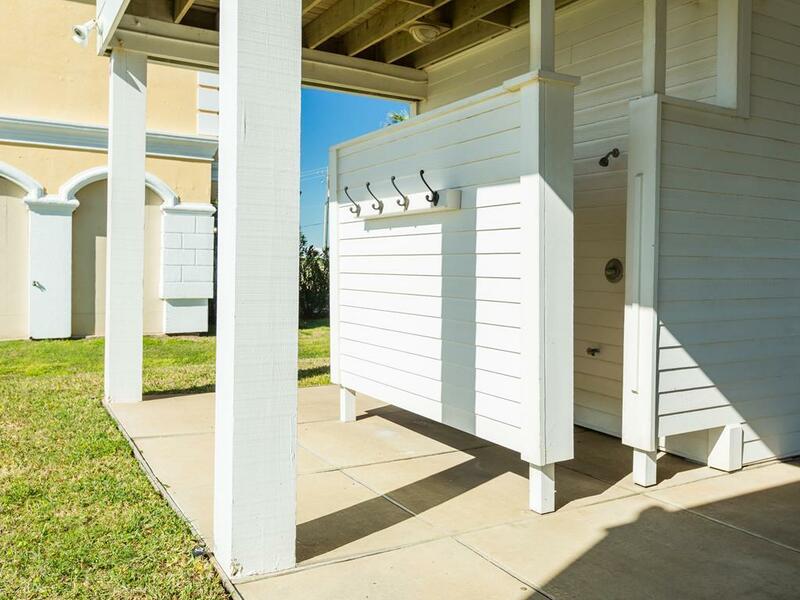 Simply a few steps from the (uncrowded) beach and an outdoor shower too. Already looking forward to our next visit to this wonderful beach house. Beautiful home by far the best one we've rented. 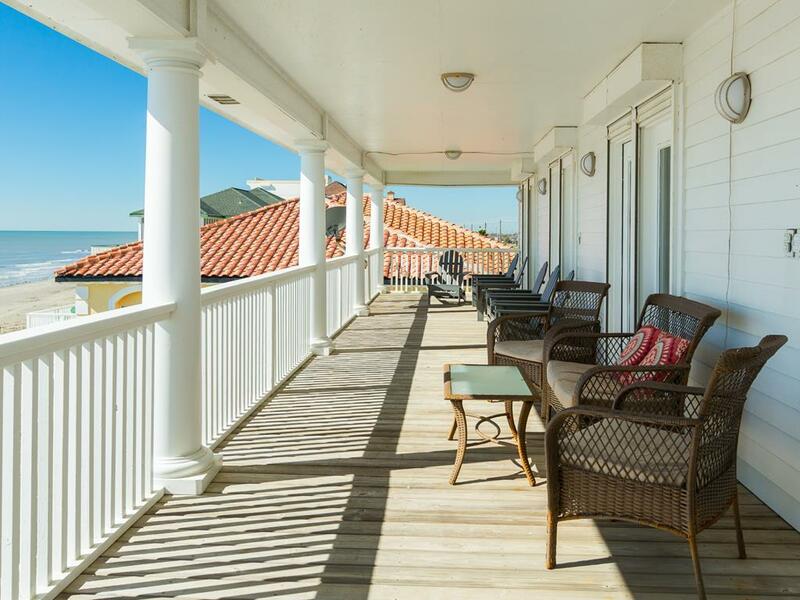 Enough beds for everyone, spacious bedrooms, all upstairs bedrooms had access to the balcony with breath taking beach views. Downstairs bedroom is private and also has a beautiful view. Loved the open floor plan, large kitchen with double dishwashers and ovens! There were plenty of dishes and kitchen utensils, the breakfast bar was great for extra sitting space or setting dinner buffet style. Nice clean and private beach. The fist floor balcony is specially nice if you have small children because it has a gate. Loved that the house was located closer to town and had plenty of parking. If I had to rate this home between a 1-10 I would give a 10+!!!! We will definitely be back!!!! Our Family of 16 (2 pre-schoolers) spent the July 4th Week at Sunnyside Up. Fantastic! 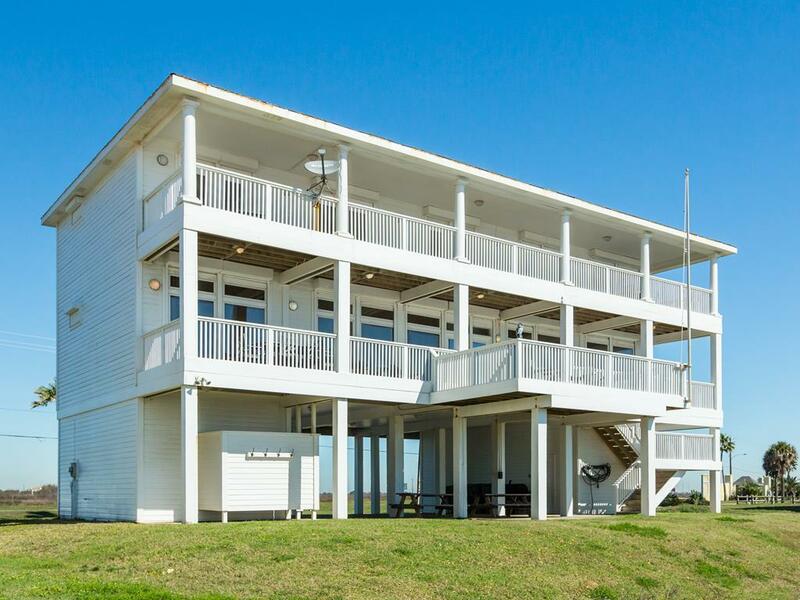 Wonderful covered decks; incredibly large kitchen with 2 refrigerators and 2 dishwashers; tastefully decorated; very private beach; wonderful ground level patio with a Texas Pit Style Barbeque, 2 picnic tables and a nice outdoor shower. Plus it is only 10 minutes to shopping. NOTE: There is no longer a 2nd refrigerator available for guest use at this home. 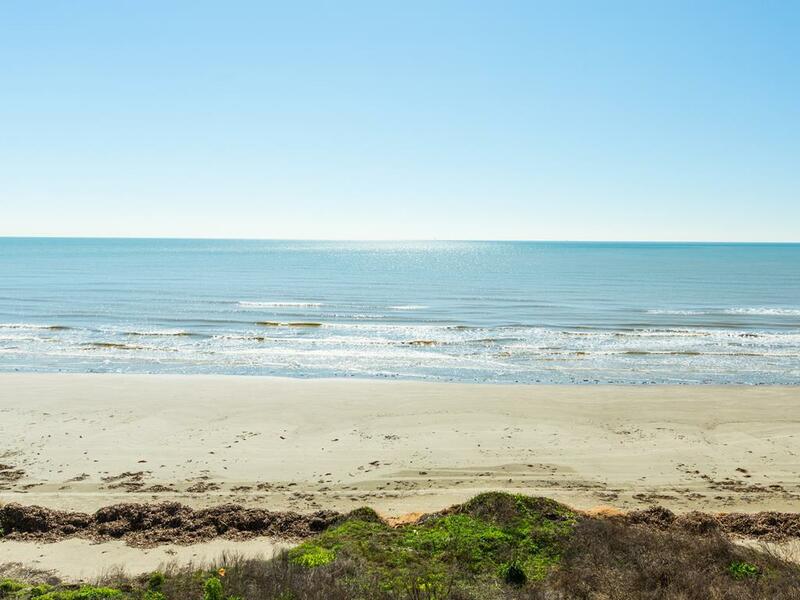 We go down to the Texas coast every summer. This is by far our favorite rent house we have stayed in. Pros: 1.) Private Beachfront. There are no cars allowed on this part of the beach so even on a busy holiday weekend we were the only people there. Nice plus is a downstairs beach shower that has hot water. 2.) 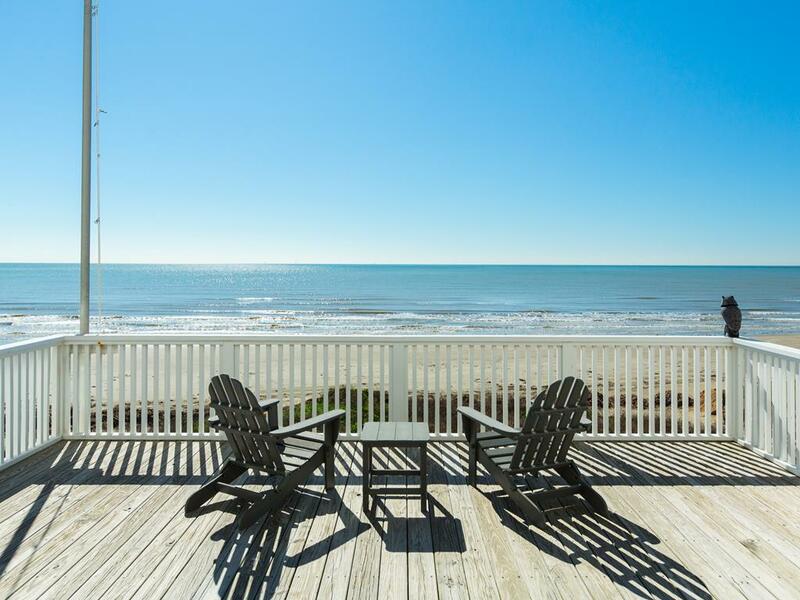 Close enough to town that is easy to run to the grocery store, out to dinner or other Galveston activities. 3.) House is in wonderful condition, every bed room has a TV and the kitchen was extremely well stocked. Cons Really have none. A great home for a large group. The kitchen had every thing needed to cook and entertain- very well-appointed. The decks were a great place to watch the ocean and enjoy our family and the upper deck was a great place to take an afternoon nap. We will come back to Sunnyside Up!